Born in Zimbabwe, Heidi Regenass, M.D. brings an international flair to cosmetic plastic surgery. Dr.Regenass specializes in cosmetic surgery procedures that rejuvenate both the face and body, enhancing natural beauty. Her specialties include: breast augmentation, liposuction, tummy tucks, erasing facial wrinkles, Botox®, creating full lips, and laser treatments to remove hair and enhance your complexion. 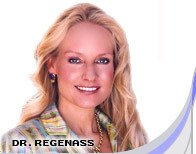 Dr. Regenass practices cosmetic surgery in both Phoenix and Salt Lake City. She received her medical degree from the University of Utah where she was elected to the Alpha Omega Alpha medical honor society. The prestigious Mayo Clinic is where Dr. Regenass performed her General Surgery residency, and then completed her Plastic Surgery training at the University of Utah. Prior to her medical training, Dr. Regenass earned a Master of Science in Health Education and ran her own business as a Corporate Health Specialist serving international companies. She has been dedicated to the holistic practice of mind/body medicine and health for more than ten years. Dr. Regenass looks forward to assisting you in restoring and revealing your natural beauty. Call (602) 843-0211 to schedule your complimentary consultation. The office is located at 18275 N. Union Hills Avenue, Suite H-146, Glendale, AZ 85308.